Bamberg is magical: The quaint squares, narrow alleyways, baroque facades and medieval flair make the old town a unique attraction, and it is also a UNESCO World Heritage Site. 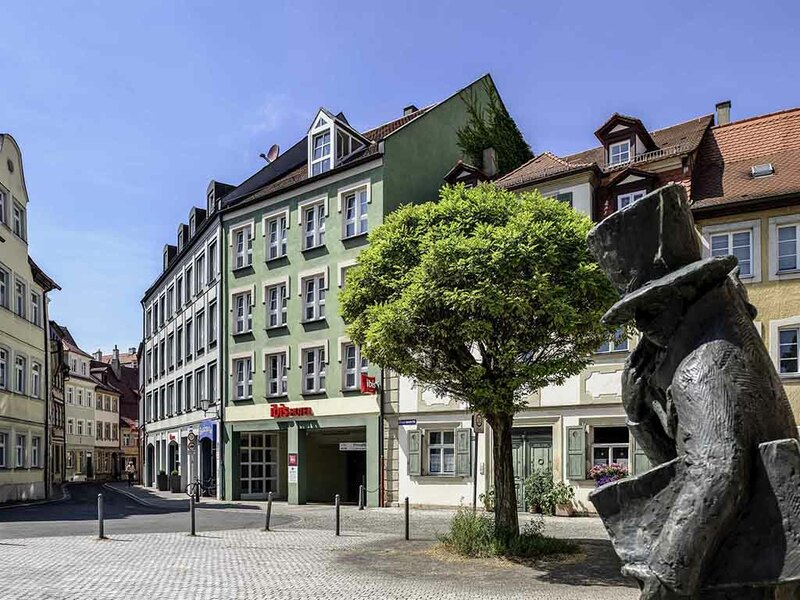 The ibis Bamberg Altstadt hotel has 50 air-conditioned rooms offering exceptional comfort and is just 219 yards (200 m) from the town center. Free WIFI is available throughout the hotel, and the online PC in the Web Corner is also available for you to use at any time. All 50 air-conditioned rooms offer maximum comfort. The new Sweet Bed by ibis beds are newly developed down to the last detail for a good night's sleep. All rooms have air conditioning, TV with a wide range of Sky channels and bathroom with shower/toilet. At the ibis Bamberg Altstadt hotel, we serve small snacks and hot and cold drinks round the clock. You can simply take your refreshment with you to your room or enjoy it in our breakfast room. 위치가 좋고 깔끔합니다. 다만 객실내에 냉장고가 없고 방음이 잘 안됩니다.